It’s weekend time! Your to-do list is here. Thursday begins the weekend with the start of the SunLit festival and Mamma Mia! in the park, as well as events like the Brocante Market and reduced museum admission after 5. Friday means shuffleboard, yoga, Friday night clay, and the first day of the Tampa Bay Blues Festival! Saturday includes a Rowdies match against Louisville City, a meet-the-artist event with the creator of the famous “Face the Jury” chairs on the Courthouse lawn, and the grand re-opening of Daddy Kool Records in the Warehouse Arts District. Sunday wraps up the weekend with plenty of fun at the Dali (wine, brunch, and yoga all in one awesome spot) as well as yoga at Green Bench! Go out and enjoy! Fine art can be pricey. Thursdays after 5pm, visit the Dali for just $10, the Imagine Museum for $5, and the MFA for $10. Have a glass of wine and stroll the museums for the perfect Happy Hour. More Dali Museum information can be found here. Museum of Fine Arts information can be found here. Imagine Museum information can be found here. Ladies, this one is for you – head on over to Yard of Ale St. Pete from 11PM-1AM for the best of the 90s and great drink and food deals ($2 Ladies Wells, $3 Ultra, $4 White Teas, $5 Stoli, LITs, $5 Chicken / Veggie Skewers)! Grab a blanket and your friends for an evening of live theater under the stars! American Stage in the Park brings comedies & modern musicals to Demens Landing Park in St. Pete each spring. This year, watch the enchanting tale of love, laughter, family, and friendship as they present Mama Mia! on select nights From April 10 – May 12. See here for tickets and more information. The fifth annual SunLit Festival brings together cultural organizations, writers, artists, and businesses for 18 days of “litertainment.” Produced by Keep St. Pete Lit, the festivities begin with a kick-off party from 7-9PM at the Chihuly Collection on April 11. Events range from conversations with authors to interactive storytelling to poetry at The Dali and more. 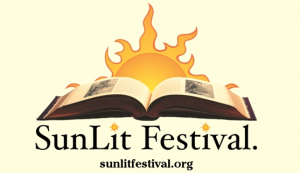 Find the complete list of events at SunLitFestival.Org. Unwind and renew with a mid-day Yoga break! A soulful exploration of the body and mind will leave you feeling rejuvenated and ready to embrace the rest of your day, and the weekend ahead. In the heart of downtown St. Pete, join us for a 45 minutes flow that will get your blood pumping, body moving and soul squealing for joy! Starts at 12pm. Spend your Friday evening playing in clay at the Morean Center for Clay! Be prepared to get dirty for two hours from 7-9PM. of wheel throwing and hand building. Bring a towel, your favorite beverage, and a group of friends or a date for a fun get-together. You’ll get to select your favorite piece at the end of the night and they will bisque and glaze it for you to bring home. Purchase your tickets for $25 online today. It’s not just for the older generation anymore! Join the fun at the world’s largest shuffleboard club to see why this pastime has regained its popularity in the Sunshine City. Free every Friday night from 7-11 p.m., locals and visitors alike flock to this private recreational club. If you’re not sure how to play, have no fear as volunteers are on hand to give you a lesson or two. Bring your own snacks and beverages – local craft beers tend to be a popular choice. There’s often live music or a DJ on-site to keep you shufflin’. Children are welcome and so are well behaved dogs. Love the 80s? Now is your chance to party! DJ Speedy Jr will be playing 80s and 90s favorites at the Iberian Rooster’s Subcentral. Come dressed to impress in your favorite throwback outfits and have a great time! The event starts at 9PM and cover is $10. For information and reservations, call 813-508-3544. 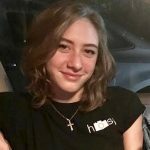 Check out some vegan delights while you’re there! Hear the inside stories of the making of more than 30 murals found in the Central Arts District in downtown St. Petersburg. The four-block tour begins at Florida CraftArt, 501 Central Ave., each Saturday morning at 10AM and concludes at 11:30AM. Call 727-821-7391 or email gallery@FloridaCraftsmen.net to book a tour, which costs $19 for adults and $11 for children. A portion of the proceeds from the tours will be used to fund future murals. You know “Face the Jury,” the iconic red chair sculptures residing on the lawn of the County Courthouse. After their recent restoration, they have found their way back to their place. This Sunday from 5PM to 8PM, meet the artist, Douglas Kornfield, at the Courthouse! Tampa Bay Rowdies Soccer – Rowdies vs. Louisville City FC, 7:30 p.m. Kick it at Al Lang Stadium and cheer on the Tampa Bay Rowdies! Experience the electrifying home games with stands packed with fans cheering the team on with age old songs and chants, top notch concessions, and an outdoor stadium situated right on the waterfront of downtown St. Pete. Gates open 60 minutes prior to kickoff. Get tickets here. 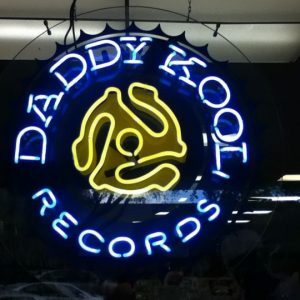 This year’s Record Store Day also means Daddy Kool’s grand re-opening in the Warehouse Arts District! The celebration includes a pop-up flea market, food trucks, Record Store Day exclusives and more! The new address is 2430 Terminal Dr S, St Petersburg, FL 33712. The festivities begin at 8AM and the flea market runs from 11AM to 4PM. LocalShops1 will be hosting a Sunday Market at Caddy’s on Central! This runs weekly from 12PM to 4PM each Sunday through April. Sip mimosas, enter raffles, and enjoy live music as you shop a variety of local vendors! Come with your yoga mat and get ready to be inspired! Join Lucky Cat Yoga at 10:30 AM every Sunday at The Dali Museum for yoga. Classes are held in the Raymond James Community Room or outside in the Avant-garden, both with incredible views of the waterfront. The cost to participate is $10 for members and $15 for non-members. Tickets can be purchased at the Member’s desk. Experience boutique wines, tapas tastings and incredible art in the picturesque setting of The Dali Museum’s Avant-garden. Twirl to live music as you sip and swirl exclusive reds and whites from a wide variety of both Old World & New World wines – each curated to pair with Salvador Dali’s iconic works. Gourmet tastings will be from the area’s top restaurants. The surreal fun takes place from 4-7 p.m. Tickets start at $90. Do a little downward dog before you down a cold craft brew! Get your workout on in the Green Bench Brewing beer garden at 11 a.m. on the second Sunday of each month led by The Body Electric Yoga Company. This one hour class is $5 for members in advance or $15 at the door or $10 if you pre-register online. Raise a glass to an artistic take on Sunday Fundays at Café Gala with Mimosas & Masterpieces! 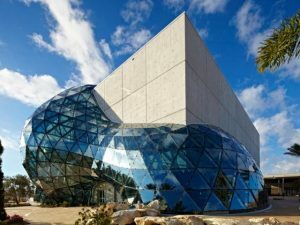 Enjoy a Catalan-inspired brunch, visit the galleries, stroll the grounds, contemplate the Avant-garden, browse the Museum Store and soak in all the brilliance of the world-famous Dali Museum. Enjoy this inspired brunch between 11 am – 4 pm. Visit the Facebook event page here. 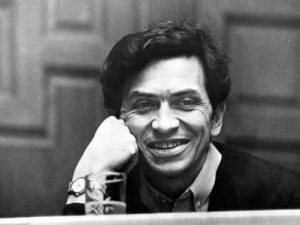 Explore the extraordinary life of renowned music promoter Bill Graham (1931 – 1991) who helped launch and promote the careers of countless rock & roll artists. This exhibition also traces the indomitable spirit of a man who was brought to the United States as an eleven-year-old Jewish refugee fleeing the Nazis, fueling lifelong passion and advocacy for social justice (now EXTENDED through June 30th!). Dreamy landscapes and luscious still life paintings from one of the world’s greatest private collections join together in A Feast for the Eyes: European Masterpieces from the Grasset Collection. This stunning exhibition will be on display at the Museum of Fine Arts, St. Pete from March 23 through July 28, 2019. The exhibition features 40 of the finest Old Master paintings by artists from the Netherlands, Italy, Spain, and Germany -including Jan Brueghel the Elder and Canaletto, one of the greatest view painters of all time represented here with an iconic view of Venice.The works span from 1600 to 1750. The collection is on loan from the Grasset family of Spain, whose patriarch assembled this group of masterpieces. The Magritte & Dali Exhibition challenges reality with the works from the world’s two most celebrated surrealists – Rene Magritte and Salvador Dali. In addition to viewing the 30+ works on display in the special exhibit, immersive installations allow you to be part of some of their most iconic pieces of art. The exhibitions runs through May 19, 2019 and tickets are available here.